Sidecar Press, LLC, 9781945090233, 250pp. An unconventional woman. A brutal murder. To solve the case, one reverend will look for help from beyond the grave . . .
Reverend Cici Gurule dreams of a bruised and bloodied woman who looks alarmingly like Cici. She'd like to pretend the recurring dream is a nightmare and nothing more, but there are too many coincidences in her waking life to write it off. Like the baby that turns up on her porch--a baby who disappeared days before. 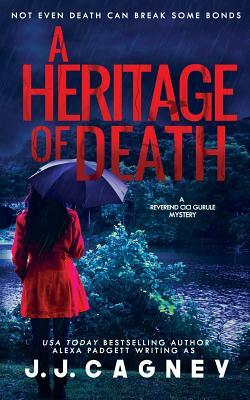 She and Detective Sam Chastain race to find the woman, but the killer finds her first. Worse, a personal message, pinned to the victim's blouse states, "You're next." As the trail grows cold, Cici's only chance to solve the mystery before she becomes the next target may be a clue left by her ghostly twin.